This is a movie review of Going Postal by Terry Pratchett. Moist Von Lipwig (Richard Coyle) is a con man gleefully fleecing the people of Ankh- Morpork. From painting horses to make them look like stallions to causing a banking crash, Moist is looking out for #1 and never looking back at the consequences. When he’s finally caught and sentenced to death, the ruler of Ankh-Morpork, Lord Vetinari (Charles Dance) decides to give Moist another chance. Moist will reopen the defunct post office or die, there are no other choices. Faced with thousands of undelivered letters, a haunted post-office and employees who are quite willing if not very able, Moist must battle ruthless competitor, Reacher Gilt (David Suchet) and potential lady love Adora Loveheart (Claire Foy) to bring the post office back to its former glory. This year—for the third year running—Rabid Reader’s Reviews and RangeWoman Inc. present the Towel Day Event. A thank you to all participants. For blog entries, photos and artwork check out Rowan’s a.k.a. RangeWoman Inc. blog. 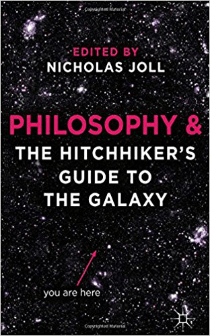 Read the book review of Philosophy & The Hitchhiker’s Guide to the Galaxy by Nicholas Joll. Also, check out Rowan’s a.k.a. RangeWoman Inc. page as she revisits the Hitchhiker’s Guide and Philosophy: An Interview about Adams, Kant and more with Nicholas Joll. May the 25th is not only Towel Day but since 2010 also the Discworld’s Wear Lilac Day. As a tribute to the Discworld author Terry Pratchett who died this year, we reviewed the movie, Going Postal. For readers: Take time to check out the review my science fiction author D.L. Morrese. 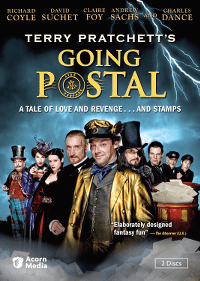 He took the time to review Terry Pratchett’s Going Postal on his blog. 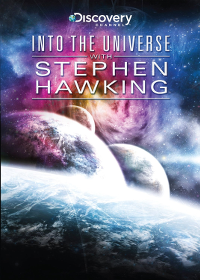 Read the review of the exciting DVD Into the Universe by Stephen Hawkins. We put together a list of authors that will have their book available for free downloading either/or on Amazon, Kobo, Google Play, iTunes and Smashwords. For more information check out our Free E-book Downloads for Towel Day 2015. Towel Day has been an annual tradition celebrated on May 25th to honor the work and remember the life of author Douglas Adams. 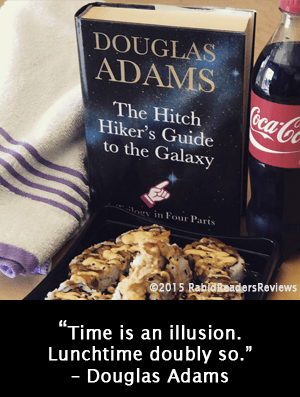 Best known for probably the best science fiction book ever written, “Hitchhikers Guide to the Galaxy,” Mr. Adams had a career that would endear him to the soul of the even the most casual reader and science fiction connoisseur. His work was imbued with a humor that was rare and an idea that life is to precious to waste. Hold your towel close today and if you’re looking for a really wonderful read, be sure to check out my list of recommendations below. Thank you, as always, to Rangewoman Inc for her tireless work in helping me format this post and be sure to check out her page for special events and interviews to celebrate the day. These are free download e-book offers for readers that would like to try out new authors. The e-books are available on different sites and in different formats. An e-book reader is not required. If you have a computer, tablet, i-Pad, i-Phone or android—Amazon and Kobo provide readers an app that you can download for free. In addition, the iTunes app store and Google play offer a wide range of reading apps for every format. Please keep in mind—free download time may vary depending on location. If the book you want to download is not free at the moment, please check again later. Some of the books are available for a longer free download period and some are permanent free. Last but not least—as a service to future readers and the author, please take the time to leave a review. Philosophy and The Hitchhiker’s Guide to the Galaxy s a collection of nine essays examining the philosophy behind “Hitchhikers Guide to the Galaxy,” the best-selling work by the late author Douglas Adams.